Pay-Per-Click (PPC) advertising is an online advertising model through which advertisers can display ads promoting their products and services alongside a search results listing page. The ads get displayed only when the phrase or part of the phrase entered by the user contains the keyword that has a close relationship with products and services promoted by the advertiser. The important thing about PPC advertising is that advertisers are only charged when a user clicks on their advertisement appearing in the search results listing page. Social media sites like Facebook have also embraced the PPC model, allowing you to advertise only to users who are in the right demographic or psychographic. Our company is an expert in making sure you get the highest returns for the lowest outlay. Looks familiar, right? Google chooses the natural results using a complex algorithm that decides which web page out of trillions is the ‘best’ result for that search. For some phrases there is a huge amount of competition, and one could not possibly hope to rank highly for them. But do you notice anything different about the first three results on that page, and the column on the right? 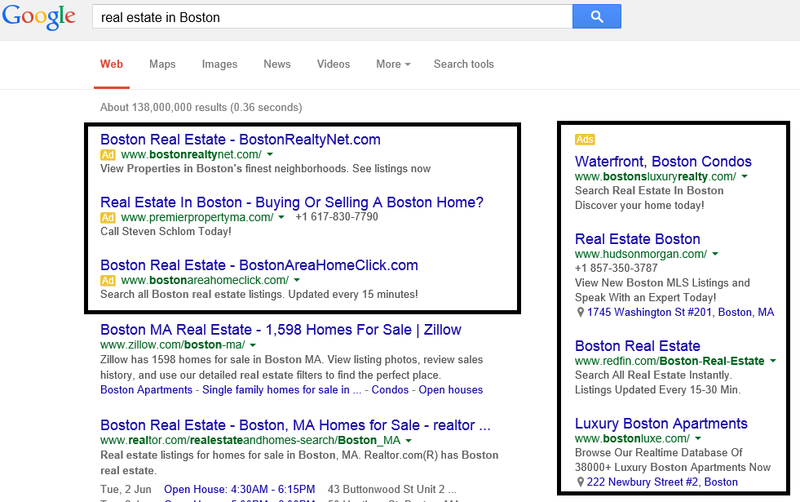 These are not actually “natural” results, these are pay-per-click advertising spaces. The best spots on the page are reserved for those who pay for them! These are the spots you can bid on, only paying your bid amount if anyone clicks your ad! So which ads get to the top of the page, in the lucrative top spot for example? Google, Bing and other major search engines use a general framework of an ‘Ad Auction’ to choose which online advertisements to display alongside the user’s search engine results page (SERP). For some key phrases, a great number of advertisers have their pay-per-click ads ready to get displayed under a particular category, so an Ad Auction uses a bidding process to generally choose advertisers who have paid the highest bid. You place a bid price against a set of keywords related to your products and services. As soon as a user clicks the search button after entering the search text, search engines make use of their Ad Auction processing engine to choose the advertisements that will appear on the search results page. 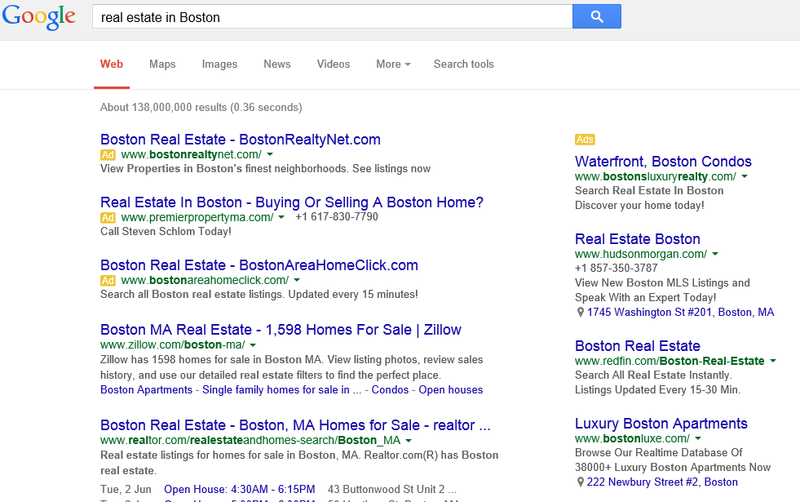 Why Is Pay-Per-Click the Right Option for the Advertiser? Pay-Per-Click advertisers only need to pay a fee to search engines like Google and Bing when any of their displayed ads are clicked by the searching user. For example, if the business owner or the advertiser pays a small fee for every click made by the user and in that process the business owner had made a sale worth 50 times and in some cases 100 times the click fee value, a huge profit can be made. Pay-Per-Click offers a “win-win” situation, in that if no consumer clicks through to your site, it will cost you nothing! A PPC campaign needs a lot of analysis and monitoring from the business owner or the advertiser side in order to achieve sustained success over a longer period of time. 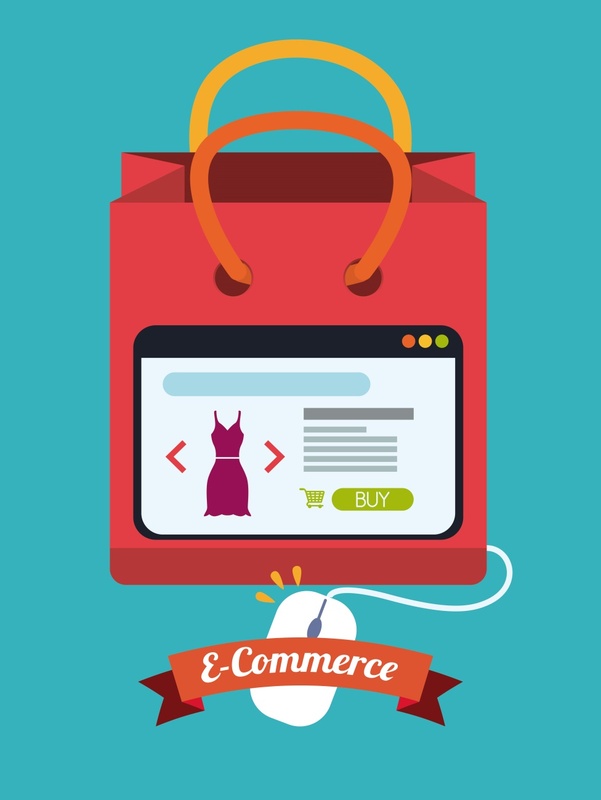 In certain cases the clicks may not get converted in to a final sale. The advertiser may be required to customize the PPC campaign in order to achieve better conversion ratios. The role of an experienced campaign manager is required in order to achieve sustained PPC success. 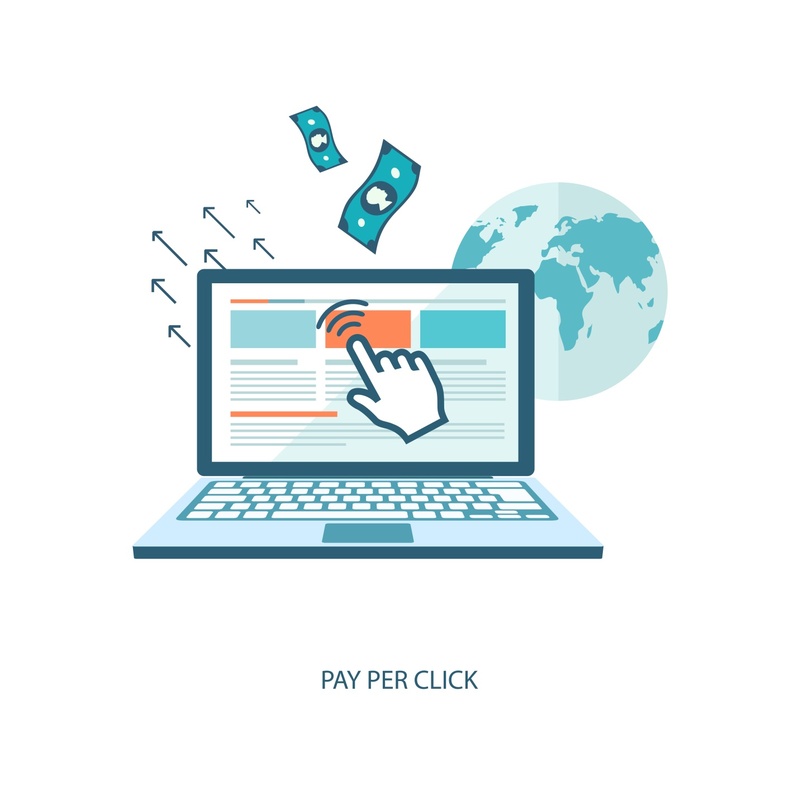 Poorly created Pay-Per-Click campaigns may not yield the desired final results in terms of sales made, even though the ad click rates paid are quite high. Advertisers need to analyze the reasons behind such poor click-to-sale conversion ratios. The product owners or their marketing team might not have the required expertise or time needed for increasing the effectiveness of PPC campaigns. We are an experienced online advertising company with rich expertise in handling a variety of PPC campaigns. Our PPC campaign experts have worked with a variety of product owners and have helped them to achieve significant increases in sales numbers through PPC. Our PPC campaign experts have in-depth experience working with Google AdWords, one of the leading PPC marketing tools available in the PPC advertising marketplace. Among the different search engines, Google has managed to get the highest percentage of the market share, ranging between 65 to 70%, leaving the remaining market to be shared between other search engines like Yahoo and Bing. In order to achieve sustained success in PPC campaigns, advertisers need to focus on PPC campaigns targeting the Google search engine. Our Internet marketing firm’s PPC experts understand the many concepts that play a crucial role in determining the success of PPC campaigns. Right from having a structured PPC Keyword research process in place, to refining PPC landing pages, our PPC experts have all that is required to achieve sustained PPC campaign success that yields a significant increase in sales numbers. As the entire PPC campaign is built around the effectiveness of PPC keywords, the keyword research and identification phase should identify keywords that are highly relevant, exhaustive, and expansive in nature. Keywords that come under the category of long tail keywords (more specific keywords that are cheaper to purchase but yield good results) should also be included in PPC campaigns in order to make the research phase more exhaustive in nature. PPC campaigns should also look at refining the existing keyword list or expanding the list by including newer key terms. Our firm has a dedicated keyword research and optimization team that closely tracks the performance of keywords. We have developed a set of tools for enhancing the effectiveness of PPC campaigns. These tools have been developed by our in-house PPC staff experienced in handling complex PPC projects. 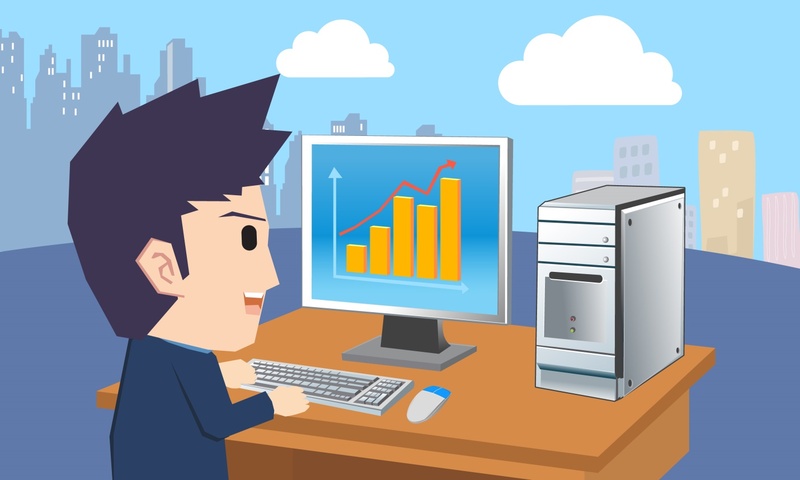 This set of tools helps us achieve significant success in PPC campaigns. One advertiser can have multiple campaigns running concurrently, and each and every campaign has to be monitored and tracked in order to make the required corrective action in a timely manner without wasting too much time. A custom dashboard provides timely updates regarding the various aspects of each campaign, including click-through rates. There are also options for tracking the phone calls that have been made after seeing the PPC advertisements appearing in search engine results pages. 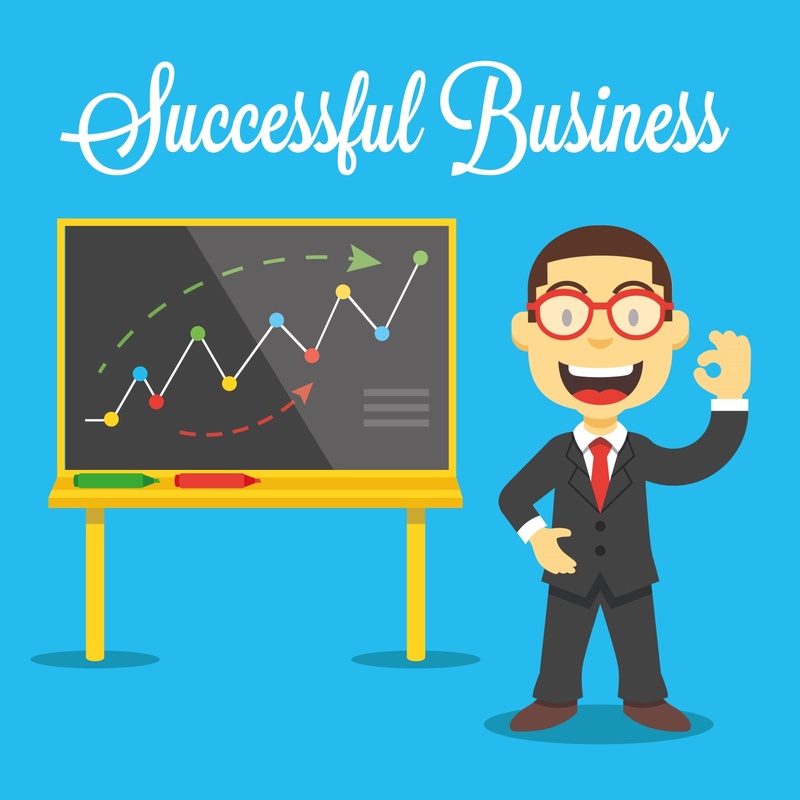 It is extremely important to track these calls, as these are interested leads which have a very good chance of getting converted in to final sale. Our in-house PPC experts have developedsimple techniques and tools for re-engineering and re-designing landing pages in order to get the maximum benefits out of them. As most of the PPC campaigns are targeted towards Google AdWords, our Google AdWords experts have designed an AdWord landing page tracker tool that can measure the conversion ratios of specific AdWord campaigns. This tracking tool grades the various aspects oflanding pages, such as the form layout and page settings, and compares them with industry standard measurements. By making use of this tool, our PPC experts are able to substantially increase the conversion rates and quality scores of landing pages designed for Google AdWords campaigns. · Mobile optimization levels - increasing number of users have started to use search engines through their smart phones. As we provide a complete set of PPC campaign management tools for popular search engines like Google and Bing, our customers need not worry about tracking the effectiveness of their PPC campaigns. Our PPC experts, by making use of our PPC management and tracking tools, continue to track PPC campaigns and take the required corrective and preventive steps to make an online PPC advertising campaign a guaranteed success. We also have expertise in managing PPC campaigns designed for Yahoo, Facebook and Amazon. Get in touch today to discuss how to supercharge your online business with Pay-Per-Click advertising.